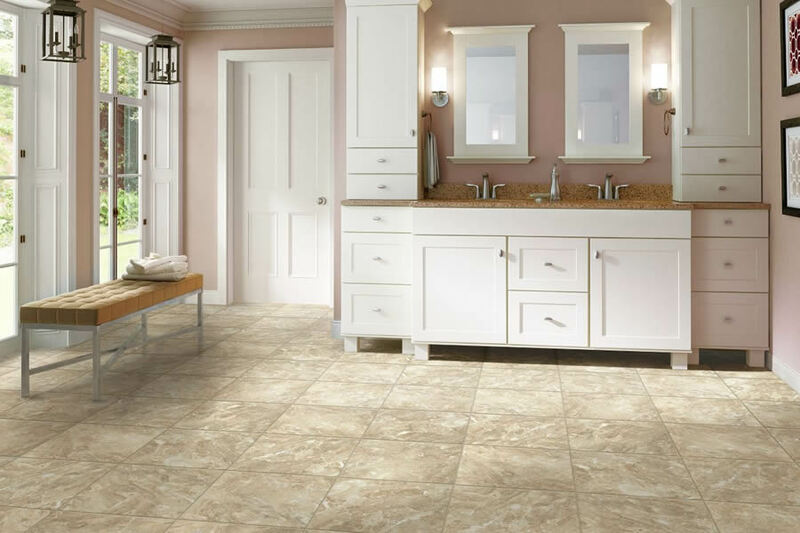 Imagine the look of natural stone: the captivating mosaic shapes, the delicate veining, and the gorgeous blend of organic colors and clefts. 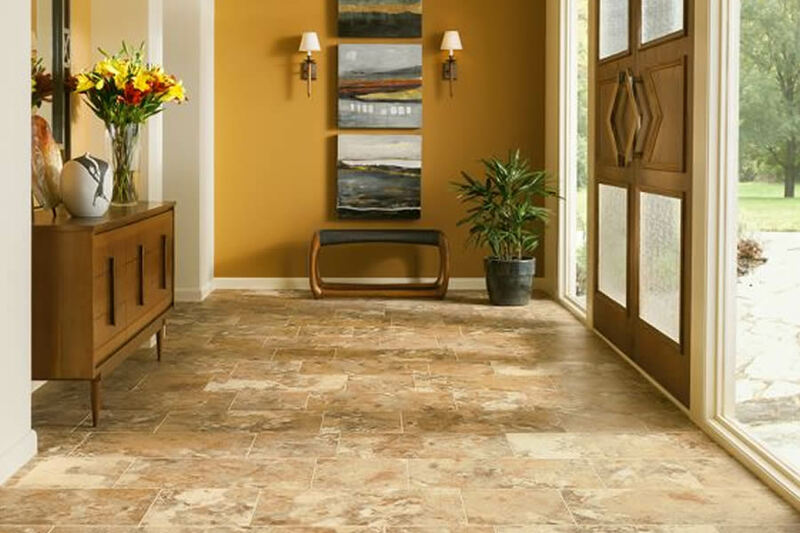 Now you can find the beauty of natural stone, like slate, travertine, and quartz, artfully captured in luxury vinyl stone tile. 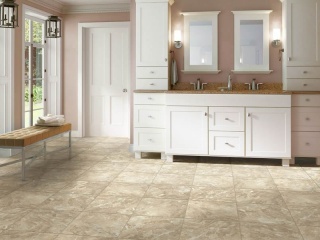 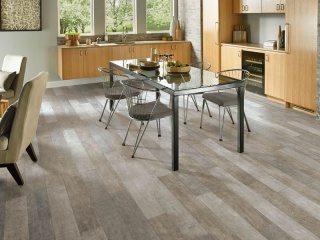 Luxury vinyl stone tile can be installed with or without grout. 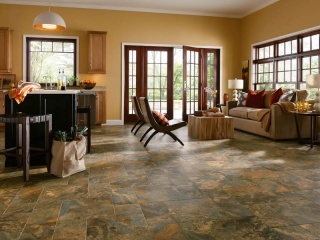 While both looks are popular, the grouted option provides a more authentic stone or tile look. 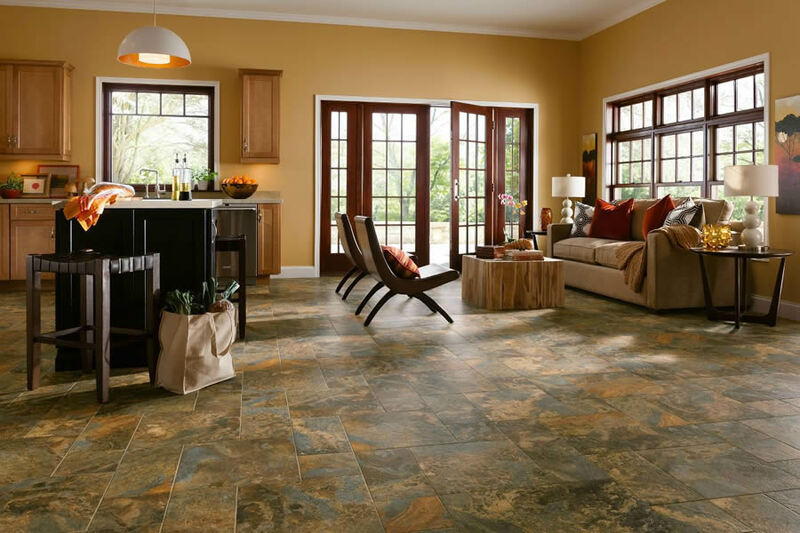 All the qualities of authentic stone are faithfully recreated through advanced digital print technology and embossing techniques. 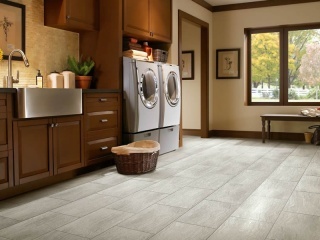 Each stone floor tile is designed to present a unique visual so that when your floor is completed, you have a natural-looking stone floor—without any pattern repeats. 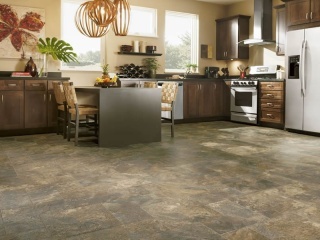 All the qualities of authentic stone are faithfully recreated through advanced digital print technology and embossing techniques. 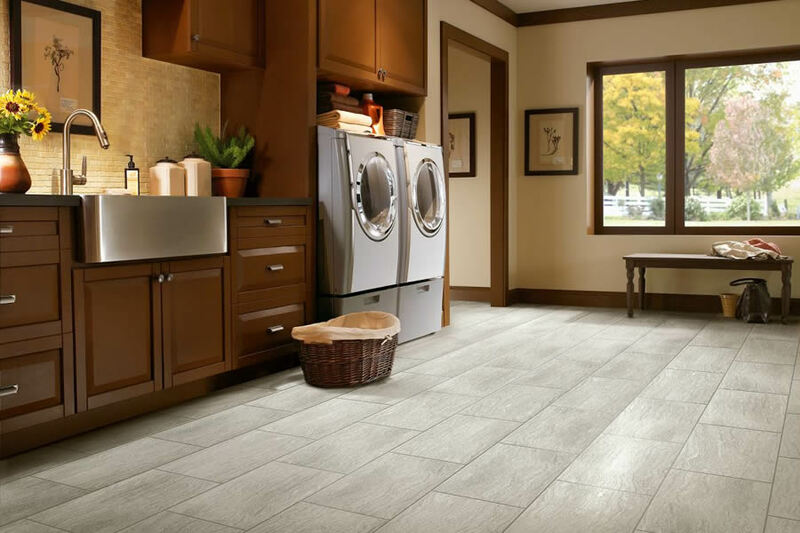 Each stone floor tile is designed to present a unique visual so that when your floor is completed, you have a natural-looking stone floor – without any pattern repeats. 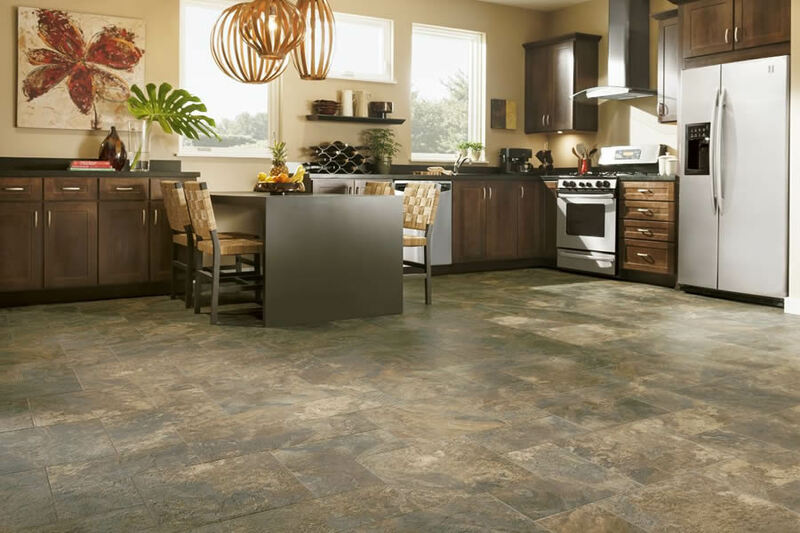 Walk across these floors, and you’ll discover that while your floor looks like a stone, it actually feels warmer and more comfortable underfoot. 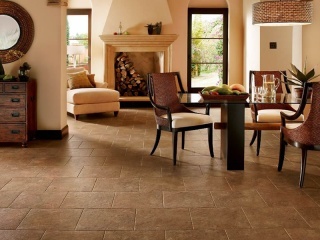 That’s only one of the luxurious features you’ll love in stone floor tile. 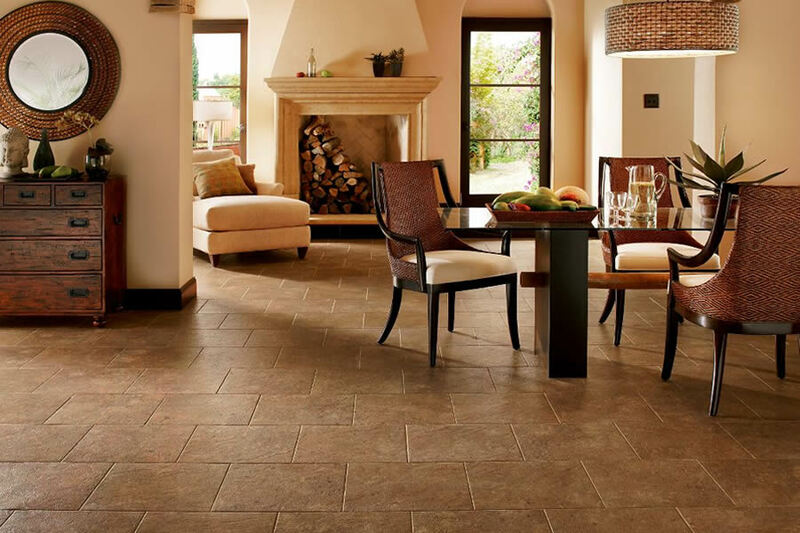 Hard-wearing, durable stone tile flooring is designed to go the distance in your home, no matter what your lifestyle. 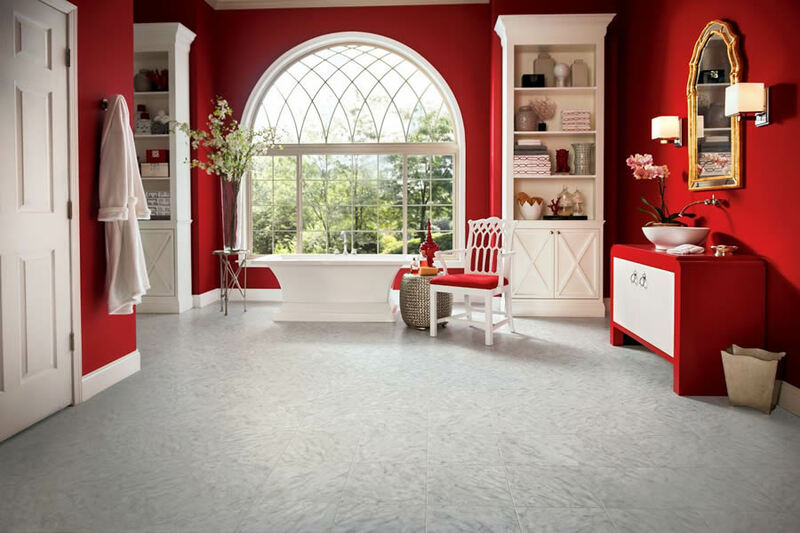 Cleaning, care, or upkeep will never be a chore. 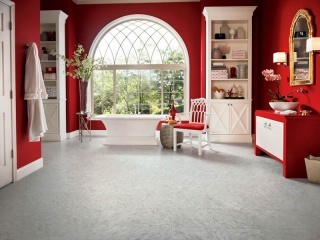 Just a quick sweep and an occasional damp mopping is all you need to maintain a spotlessly clean floor. 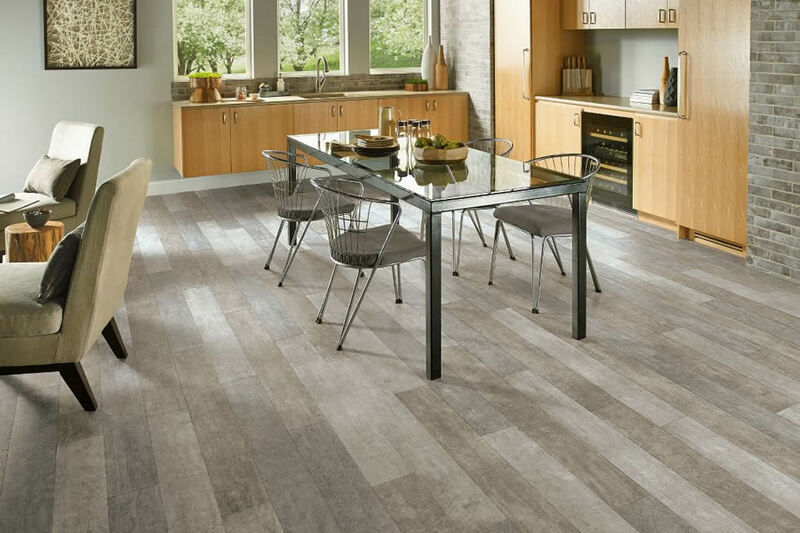 An invisible scratch, stain, and abrasion resistant wear layer protects the beauty of your floor, enabling it to stand up to kids, pets, and heavy foot-traffic. 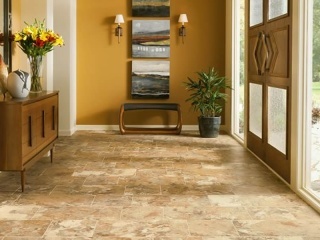 Even everyday drops and spills won’t mar or damage the beautiful surface of your stone tile flooring.